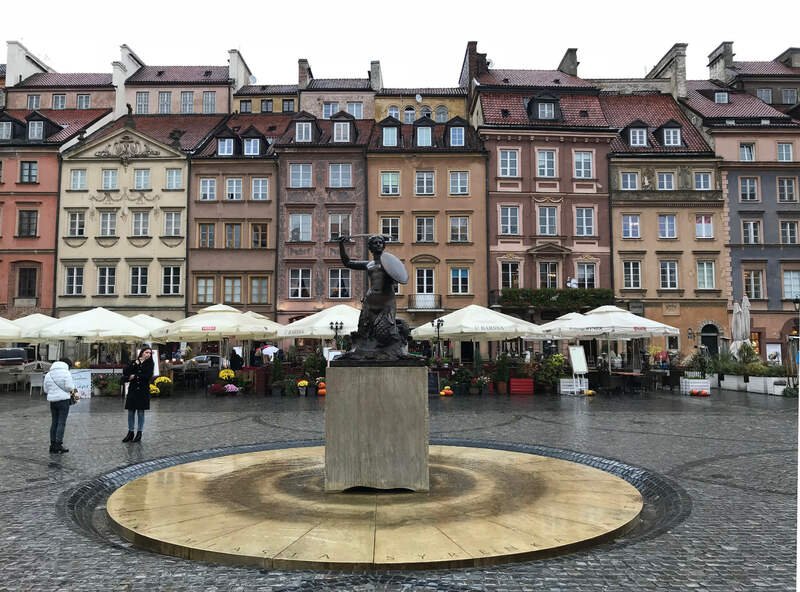 Warsaw - A weekend trip to Poland's beautiful capital. 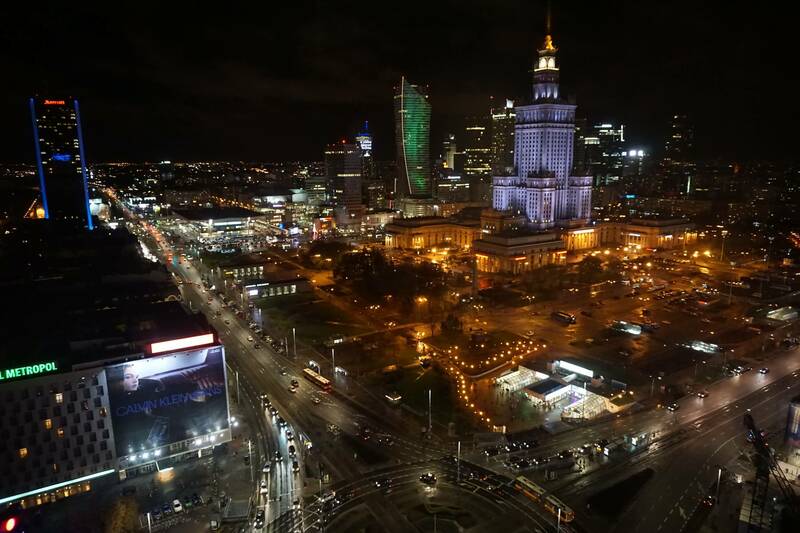 Warsaw – A weekend trip to Poland’s beautiful capital. Aren’t holidays nice? You dignify saints, you bring history into mind and mainly, you are off from work. If you place your vacation days thoughtfully you might even end up having enough time off to go on a nice city trip. Like we did. We used a long weekend to visit Poland’s capital Warsaw. 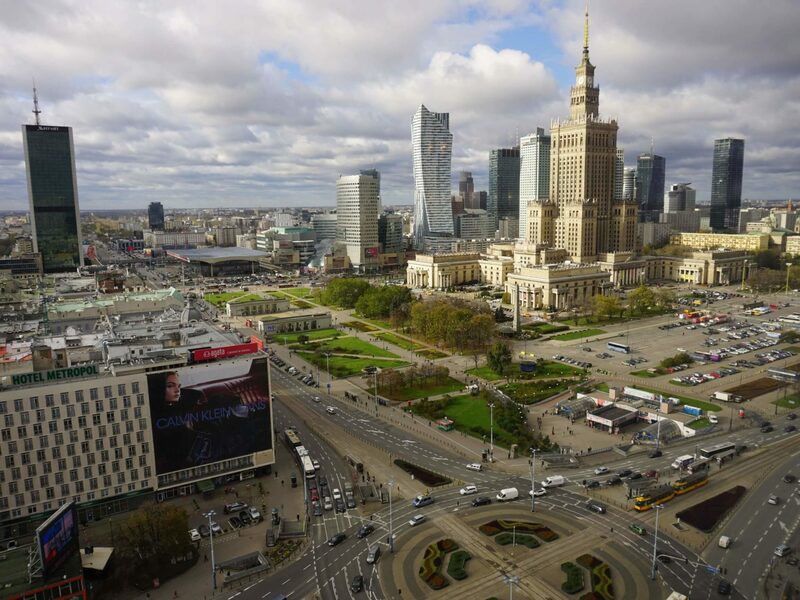 After our arrival on Warsaw’s airport we went straight to the bus stop and hopped on the bus towards downtown. At a rate of 1,10 € per ticket per person there is really not much to complain about. The ride took about 30 minutes and fortunately the bus stopped right in front of the hotel. Our hotel was the Novotel Warszawa Centrum. The hotel is conveniently located downtown so we were able to reach all our sights by foot. In our opinion, the room wasn’t the most modern one but we were reimbursed by the amazing view from the 26th floor. The room was very clean and tidy, so really, there is nothing to complain about. Just a little tip on the side: You can save the money for breakfast in the hotel because there are many cafés around the hotel where you can have a really nice breakfast for a lot less money. Anyway, we can only recommend the hotel and would also book it anytime again. Since check-in wasn’t possible that early in the day, we just left our luggage and went to look at the first sights in town. We have to say that we had bad luck with the weather. Rain and wind were our steady companions. That did not harm the vibe though. 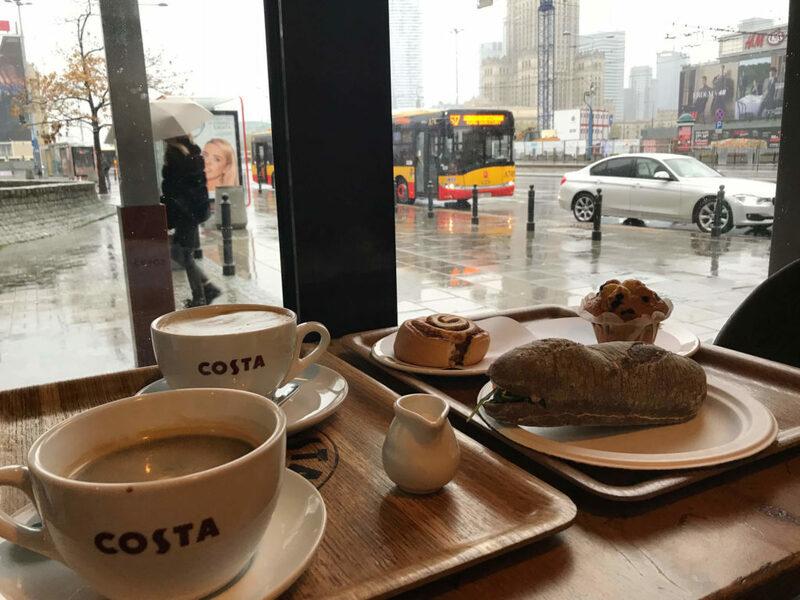 This rainy weather suits that stricken town in a good way and created an appealing atmosphere regarding the tough times in its history. Every picture that was taken I could imagine in black and white. Not affected by the rain and wind we kept walking towards the Old Town and the Castle Square. 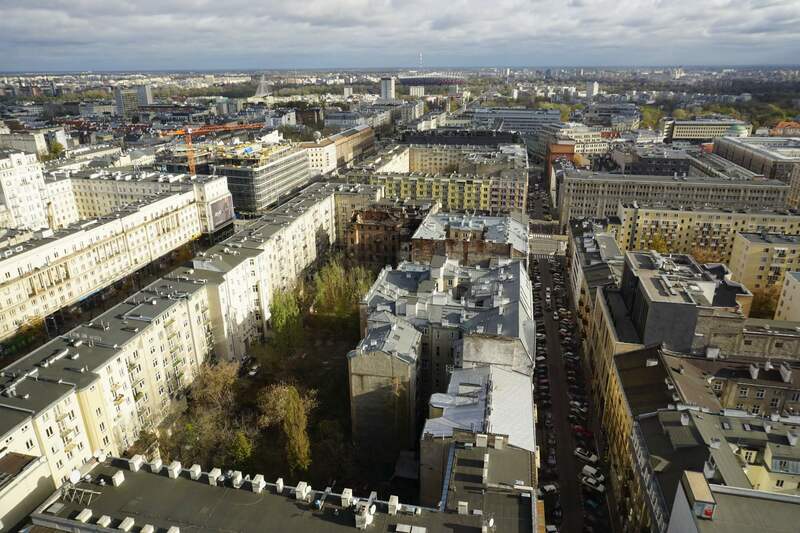 To get a good view of the Castle Square and the Royal Castle it is worth to walk up to the viewing platform of the tower belonging to St. Anne’s Church (Taras Widokowy). 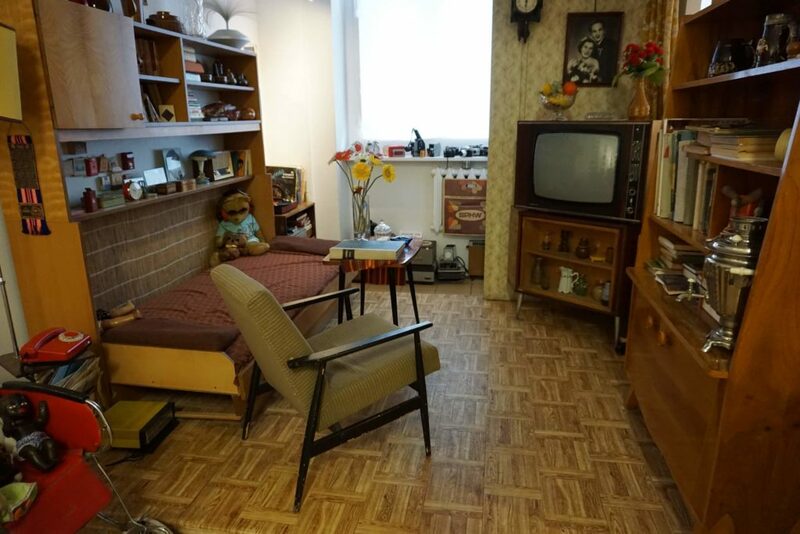 As a visitor you should be aware of the fact that all historic houses you can see from up there were rebuild after Second World War to resemble the pre-War times. The center of the Old Town is the Market Square (Rynek Starego Miasta) with the Statue of the Mermaid. Around here you’ll find beautiful buildings, the Tourist Information and a lot of possibilities to spend some money. We strolled through the streets looking for a café to warm ourselves up and dry a little bit. 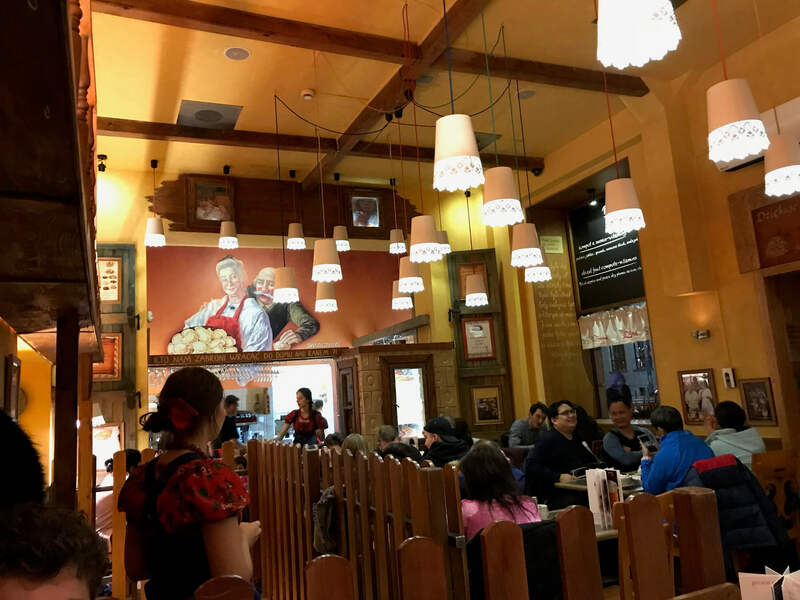 The Green Caffe Nero that is located in the building of the oldest coffee house in Warsaw, just south of Castle Square and across from Carmelite Church, was just the right place for that. After strengthening up we kept walking south along the Royal Route towards the National Museum. The Royal Route is a street of representation lined by a lot of sights, like palaces, churches, monuments and other buildings of importance. We walked about 2 km on Krakowskie Przedmieście, also known as a strolling promenade. Very chic and worthwhile. In front of the National Museum we took a few pictures and checked out the area with our evening program in mind. More later. Afterwards we went back to the hotel for check-in and a short break. Well recovered we looked at the shopping mall Złote Tarasy that is not far from the hotel. 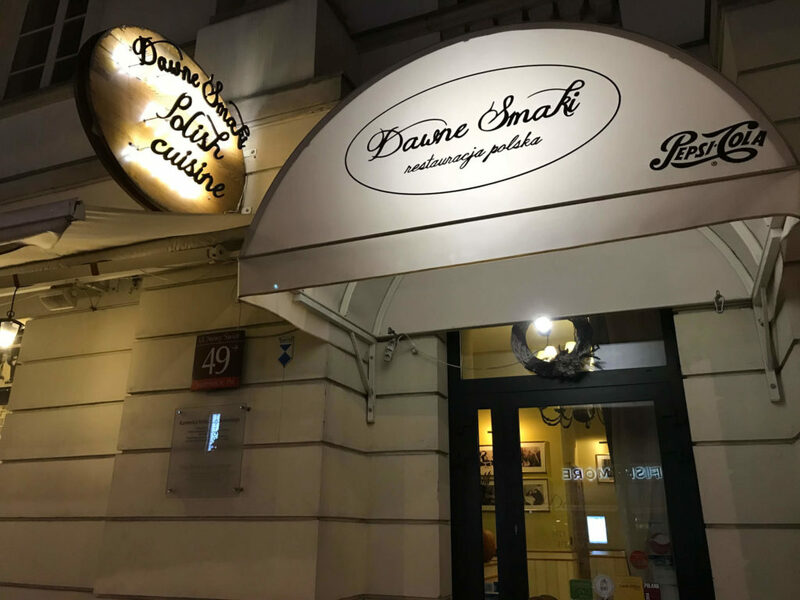 Dinner was coming up and we had the plan to eat traditional polish cuisine in a restaurant that we already looked up before the trip. The Zapiecek. Unfortunately, we were not the only ones that wanted to have dinner there. We saw the queuing people in front of the restaurant from far away already. 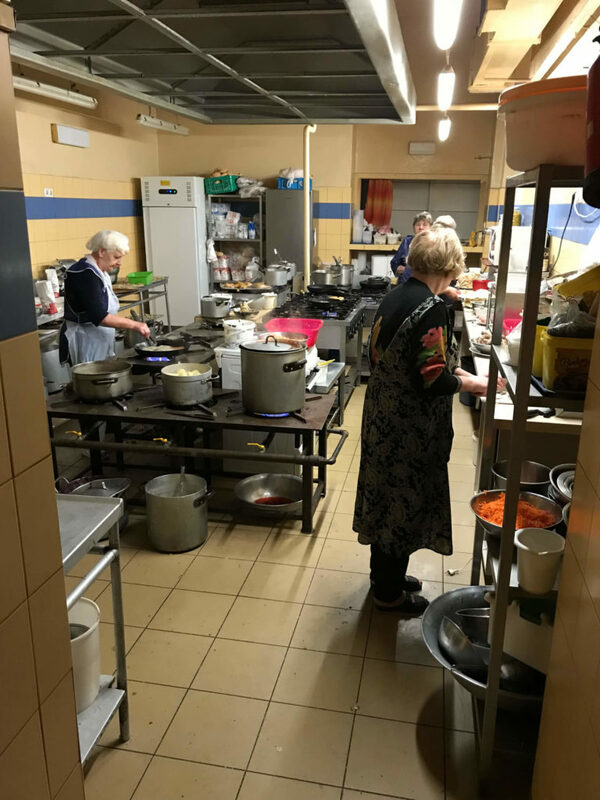 We didn’t really feel like waiting in line for a long time so we kept walking on Nowy Swiat and after a few minutes we reached the next polish restaurant. The Dawne Smaki. There was no line there but we were ordered to wait in a rather cold way because there were no available tables for people without reservation – like us. The restaurant manager will let us know when we would be able to get a table they said and told us to wait in the entrance area. And so we did because we didn’t want to look for another restaurant, again. The manager informed us that there would be a table in 10 minutes (by that time an Asian trio joined us in the entrance area). To reduce waiting time, we were served a glass of liqueur. That’s what I call customer service! After finishing this tasty liqueur, we were led to our table and finally enjoyed an outstanding dinner, with outstanding service and outstanding atmosphere. At the close of the day we went to a live piano concert at the Chopin Salon. 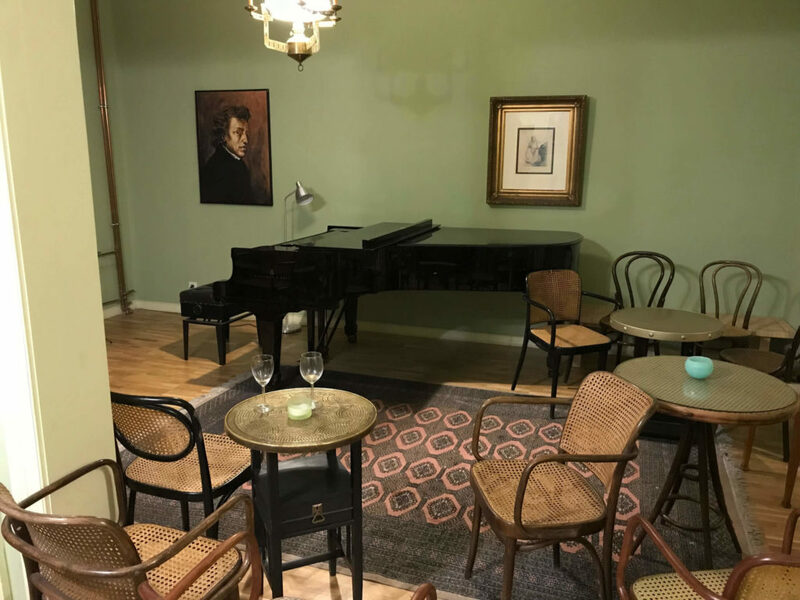 The salon is part of a hotel that offers piano concerts every evening in that separate room. For 12,50 € per person you get to listen to classical music from well-knows composers, of course Frédéric Chopin is one of them. The pianist of the night was Wonjoo Baek from South Korea who performed 45 minutes for us. Wine and cake is included in the price. In total, we were 12 people in the room and it was a real treat to indulge in the music in that intimate atmosphere. I highly recommend going there. The “peak” of the first day (out of two) in Poland was the view over the skyline of Warsaw from the 31st floor of our hotel. From the Spa area up there you have a unique view over the town – and it is for free. The next day started with breakfast in a café that was located right next to our hotel where we strengthened up for the upcoming day. 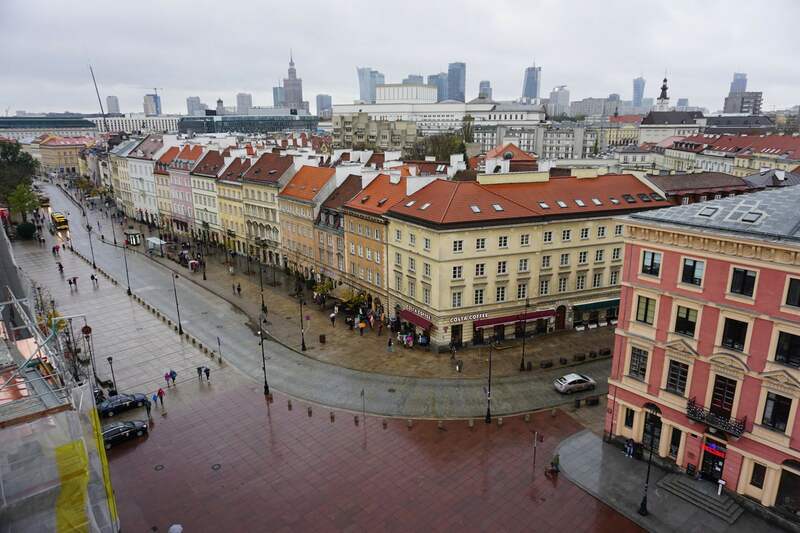 Before we left for Warsaw we had booked a bus tour for 10 a.m. that day. Pick-up point was the Hard Rock Café right next to the shopping mall Zlote Tarasy. 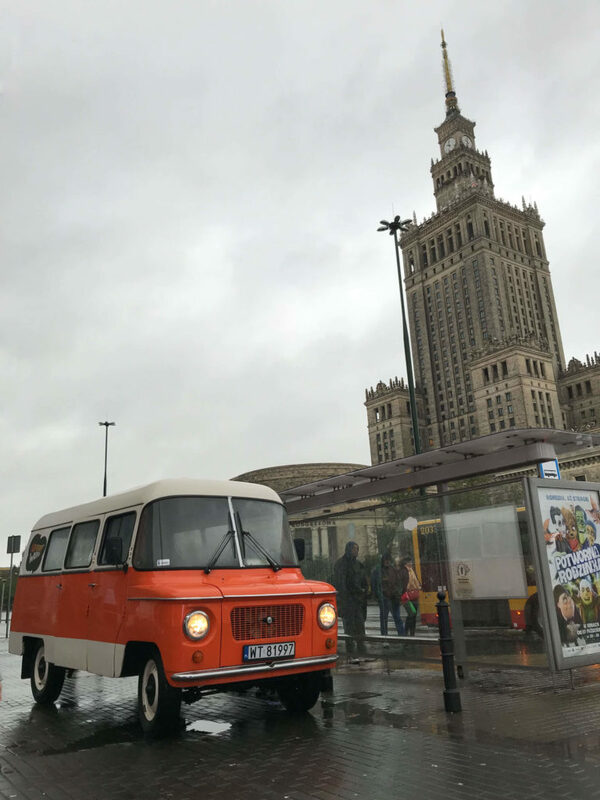 We booked the Nysa Bus Tour through Adventure Warsaw and our guide for that day was Pawel. Because of the high demand they organized two authentic Nysa busses that should take us through town the following four hours. Excluding the driver there were seven places on each bus. Our group consisted of Germans, Japanese, Austrians, Poles and British. Main theme of the tour was the Jewish Ghetto and the historical events in Second World War as well as spots off the main tourist routes. After short stops around the center we crossed the river towards the north-east (Praga-South and –North). According to our guide we found ourselves right in the middle of the “Polish Favelas”. The first stop was at an exhibition about “Poland during Soviet Times” in an old building that was more or less in a backyard. Towards the end of the time in the exhibition our tour guide served a glass of vodka to everyone. Thank goodness, there was also Soviet-soda-pop to flush the vodka down (because that is how you drink vodka). There were no pickles to bite but I don’t want to be fussy. The tour proceeded and we got to walk through some authentic backyards, went for a typical polish lunch, came by the POLIN Museum of the History of Polish Jews and the Ghetto Heroes Monument, saw the “House of Terror” and the place of the last resistance. At all our stops we received interesting information (that was partially shocking but also impressing). I don’t want to spoil or describe every detail of the tour but I highly recommend this tour. The organization was smooth and our tour guide Pawel just did an outstanding job. Despite the bad weather, his intimate relationship and passion for his hometown were obvious and the spark of his fascination certainlyjumped over to the group. Great praise and many thanks for that. 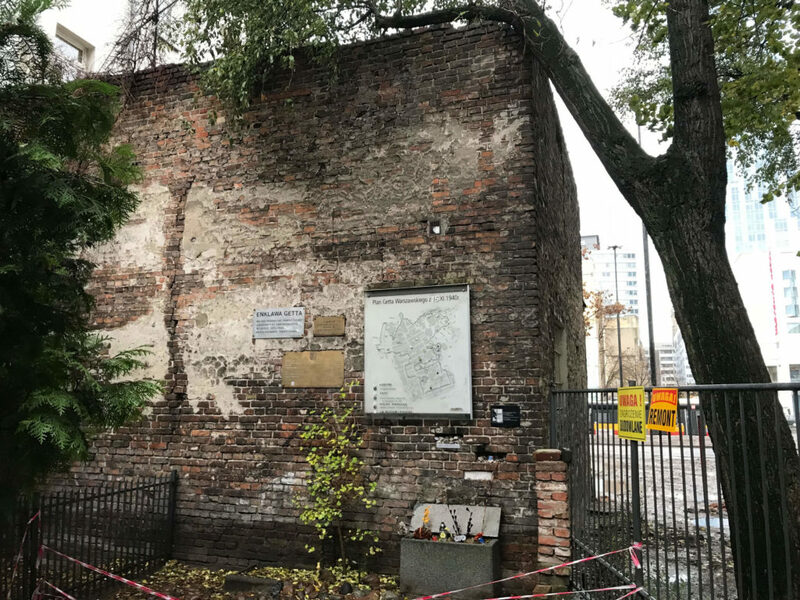 After the tour (the drop-off was at the Hard Rock Café again) we walked to The Ghetto Wall and Jewish Heritage, a remnant of the Jewish Ghetto that was quite difficult to find. A wall that served as a boarder. 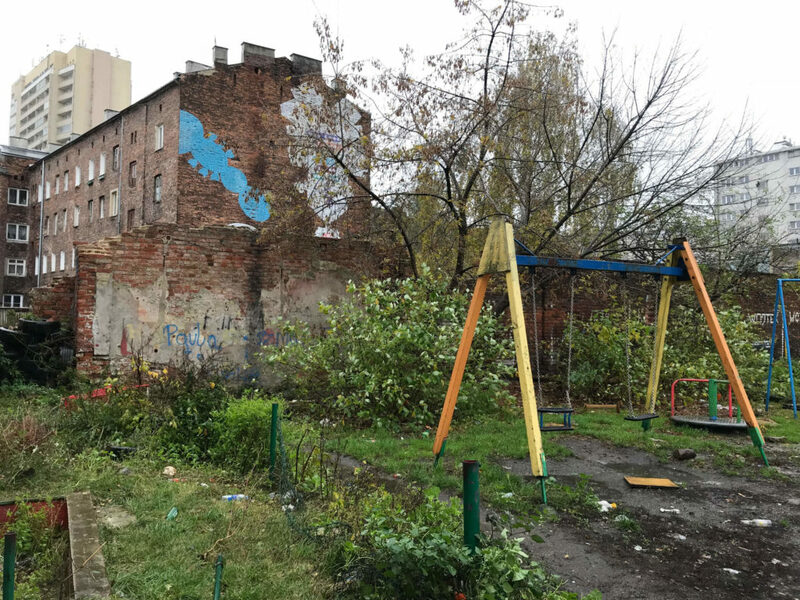 Located in a backyard, where we could only find it with the help of a local, these remains depict another demonstration of Warszawa’s dreadful history. 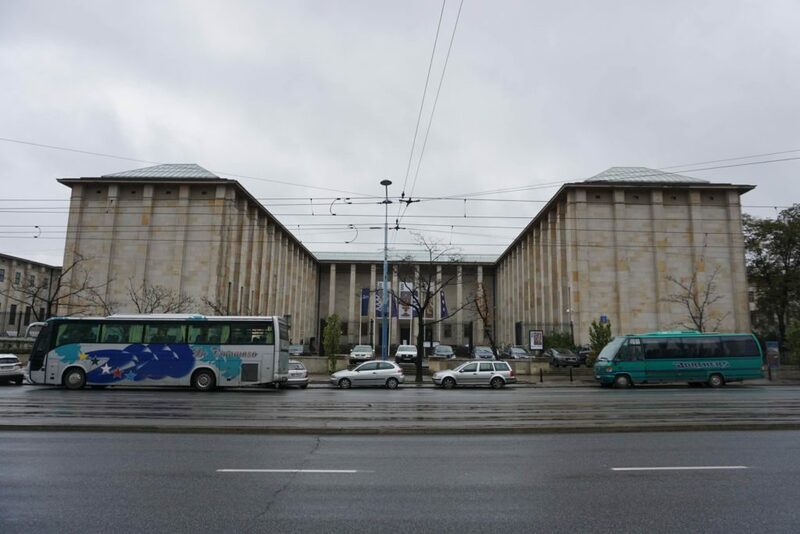 We moved on to the street called Emilii Plater 7.Here you will find a rather unimposing building, at first glance. The building was pointed out by Pawel during our tour but since parking wasn’t possible there we only drove by and couldn’t look at it. That’s why we decided to walk there again after the tour. 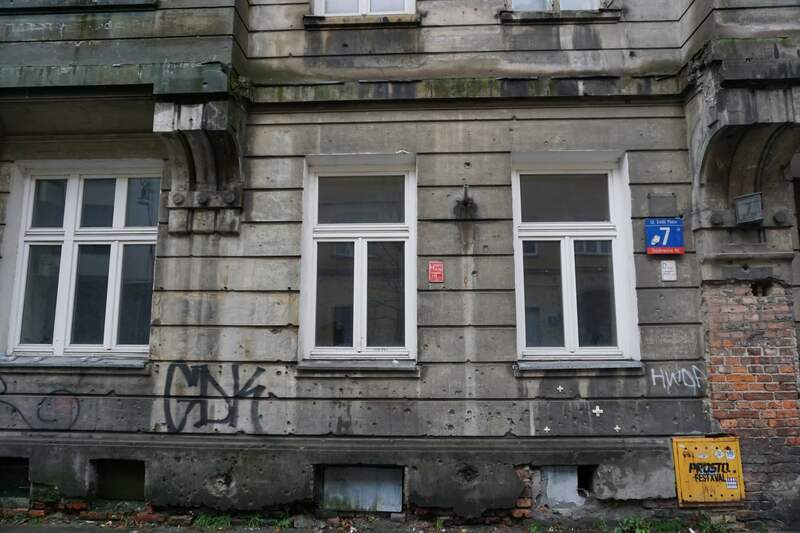 This building is an evidence of the street fights and the close positions of the fronts during the war. The house is covered with countless bullet holes. An oppressive, yet unique sight. 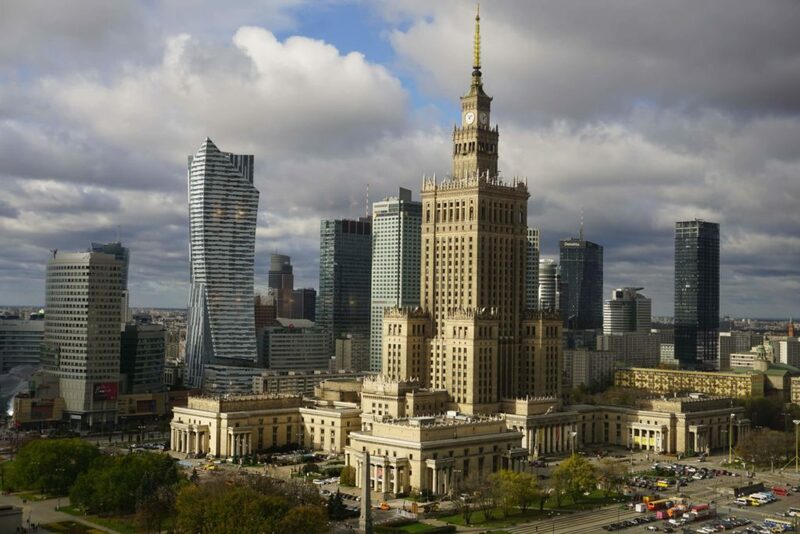 Finally, it was time to take a closer look at the Palace of Culture and Science that, until today, is the highest building in Poland. 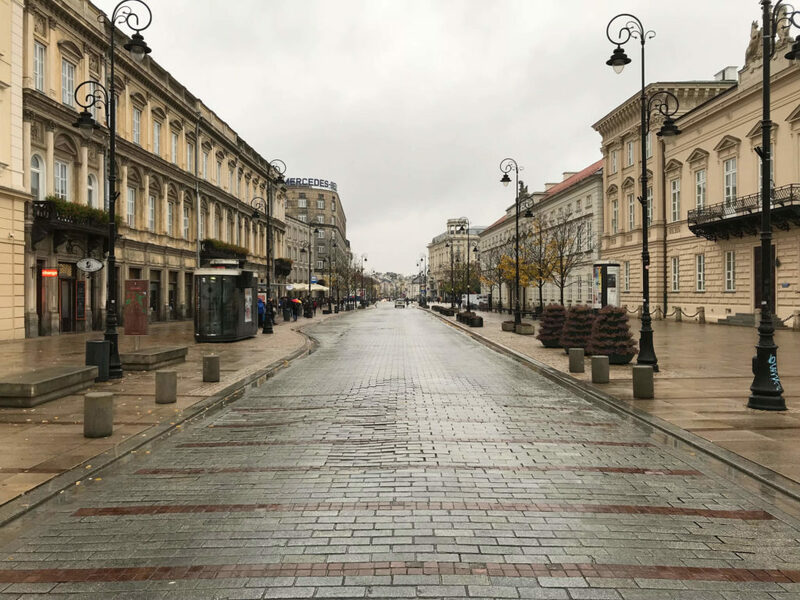 This gift from Stalin to Poland after Second World War is rather unpopular amongst the locals because it is seen more like a sign of the repression of the people. Nevertheless, for visitors this building offers an impressive sight. We skipped the viewing platform (because our hotel had a great view already) and took a look inside the building that contains theatres, museums, cinemas, restaurants and other things. An imposing building and something like a kickoff for the reconstruction of Warsaw. Before dinner we wanted to look at one other sight. 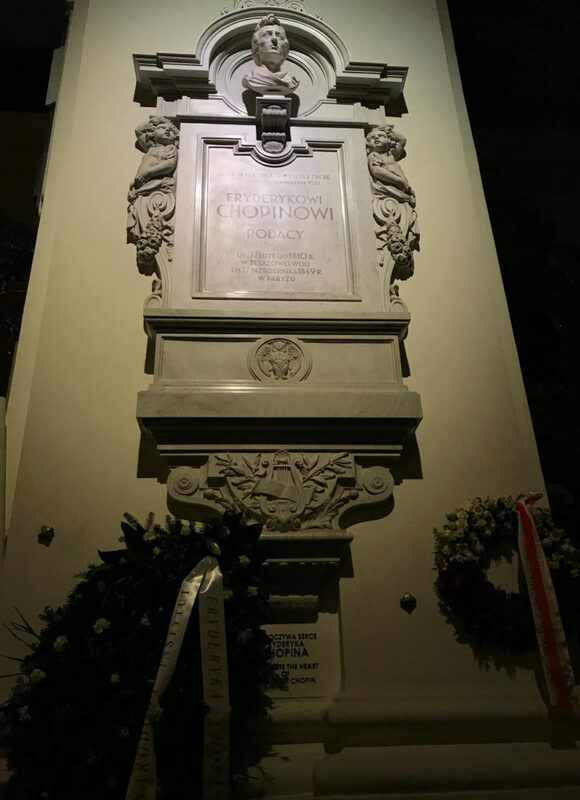 Again, we followed a tip from Pawel who told us that Chopin’s final resting place, or to be more precise, the final resting place of his heart is in Warsaw. After Chopin’s death his heart was conserved in Cognac and secretly smuggled back to Warsaw from Paris by his sister. Nowadays you will find it in a column inside of the Church of the Holy Cross that is located on the Royal Route. When we stepped into the church we found ourselves in the middle of a church service. Since I left church in Germany I was glad to not burst into flames that moment. We waited for the end of the church service, took our picture and left again. We checked out some opportunities for the night but we still wanted to try to get into the Restaurant Zapiecek again. This time we had better timing and got a table immediately. Only five minutes later though there was a line up to the curb outside. We did it all right this time. 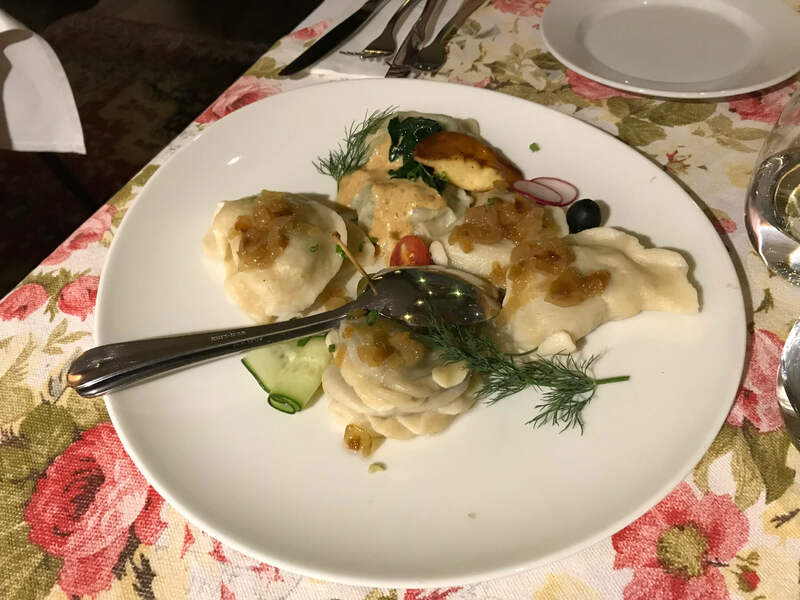 Without going into detail concerning the menu (we basically inhaled Pierogi, stew, beer and schnapps of course) we have to say it was a great evening and a worthy ending to our trip to Warsaw. The food was hearty and delicious. A nice variety of drinks and the great service gave this evening a feel-good atmosphere. thank you for mentioning us in your article and sharing this information with us! We will share it on our facebook Chopin Boutique B&B and Chopin Salon. 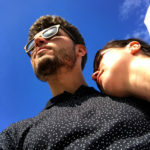 Really thank you for your visit and made article about our city, and also our tour. I’m so happy that you recommended our company!